Noah is an epic biblical movie directed by Darren Aronofsky of Requiem for a Dream and Black Swan fame, written by Aronofsky and Ari Handel. The movie is loosely based on the story of Noah's Ark. We meet Noah as a young boy, with his father Lamech. Noah is about to receive a serpent's skin of the original serpent in Eden from his father, as it has been down for generations. Suddenly, a large crowd approaches, led by a young king named Tubal-Cain, who wants to make the hill that Noah and his father a farming into a mine. Tubal-Cain kills Lamech and steals the serpent's skin, while Noah runs away. We flash forward, where we meet Noah now as a man (played by Russel Crowe, of Man of Steel fame) who is living with his wife Naameh (played by Jennifer Conolley of Requiem for a Dream fame) and his three sons, Shem and Japheth Ham (played by Percy Jackson’s Logan Lerman). Noah is quick to see a small miracle: a drop of water hits the ground, and a flower grows instantly. Soon after, Noah experiences a nightmare (or, a vision); he is submerged by water as far as the eye can see, where hundreds of corpses float around him, where wackiness ensues! Director Arron Aronofsky had been fascinated with the figure of Noah since he was thirteen years old, explaining that he saw Noah as "a dark, complicated character" who experiences "real survivor's guilt" after the great flood that wipes the slate clean of humanities evil. Aronofsky was working on early drafts of the script for Noah around the time his first ill-attempt to make The Fountain when actor Brad Pitt left the project, leaving hundreds of Australian film workers out of work. Ari Handel, Aronofsky's collaborator on The Fountain, The Wrestler and Black Swan, assisted Aronofsky with developing the script. 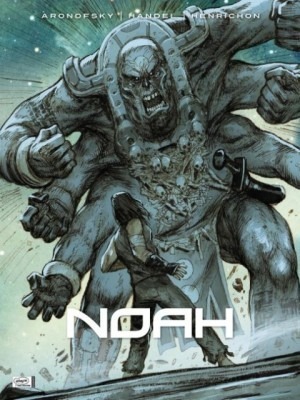 Before the duo found financial backing for Noah, they collaborated with Canadian artist Niko Henrichon to adapt the script into a graphic novel, much like what Aronofsky did with The Fountain. The first volume of the graphic novel was released in the French language by Belgian publisher Le Lombard in October 2011 under the title Noé: Pour la cruauté des hommes (Noah: For the Cruelty of Men). 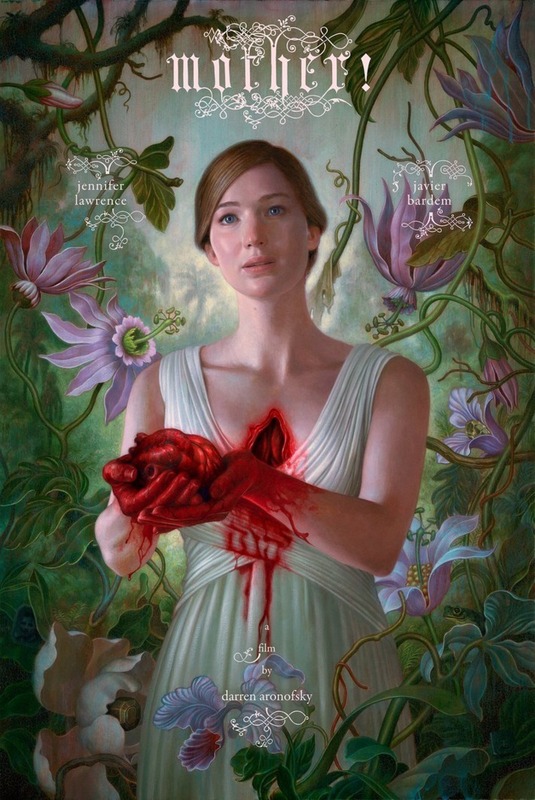 After the creation of the graphic novel, Aronofsky struck a deal with Paramount and New Regency to produce the feature version with a budget of $130 million. Emma Watson (of Harry Potter fame) offered that the director was going for the sense that the movie could be set in any time; a thousand years in the future or a thousand years in the past, and that audiences shouldn't be able to place it too much. The lead role of Noah had previously been offered to the likes of Christian Bale and Michael Fassbender, who both declined. Christian Bale went on to star as Moses in Ridley Scott's upcoming religious epic film Exodus: Gods and Kings. Dakota Fanning departed the role of Ila due to a scheduling conflict, with Emma Watson talking over the role. Julianne Moore was also considered for the role of Naameh and Liam Neeson, Liev Schreiber and Val Kilmer were all considered for the part of the evil king Tubal-cain played by Ray Winstone. Aronofsky reportedly wanted an actor "with the grit and size to be convincing as he goes head-to-head against Crowe's Noah character". The movie was shot throughout Southern Iceland, with the set of Noah's ark having been built at the Planting Fields Arboretum in Upper Brookville, New York. Ironically, Production was put on hold while Hurricane Sandy subjected New York to heavy rain and flooding during late October 2012. Aronofsky stated that the production had to create an entire animal kingdom without using real real animals, but instead going ahead with slightly tweaked versions of real animal creatures. George Lucas' Industrial Light and Magic video effects company stated that their work on the film represented the most complicated rendering in the company's history. Arronofsky regular, the always excellent Clint Mansell, scored the music again, which was performed by the Kronos Quartet. The movie deals with themes such as sin, judgment, justice, righteousness, God as Creator and mercy. The movie also, controversially, promotes the concept of evolutionary creation. The movie was given numerous test screenings, with worrisome feedback given by religious audiences (Christian concerns here for example). The feedback lead to tensions between Aronofsky and Paramount over the control of the final cut, with Aronofsky finally winning out, albeit with a bad taste in his mouth. "With sweeping visuals grounded by strong performances in service of a timeless tale told on a human scale, Darren Aronofsky's Noah brings the Bible epic into the 21st century." So far, the movie has made a world-wide box office total of $95.1 million off of a budget of $125 million. Of late we have experienced our superheroes and action stars to be much more grounded in reality, thanks to Mr Christopher Nolan. Christopher Nolan’s Dark Knight Trilogy set the tone of more gritty, flawed, realistic characters in real-world surroundings. This of course kicked off the reboot genre: we had a rebooted James Bond in Casino Royale, who cried and got injured, going so far as literally reciving a right bullocking. We have a super-type of man in Man of Steel, crying, being injured with his usual colourful uniform being bleached down assisted with shaky cam galore, and we have even been given a grounded Robocop, here with his uniform now cloaked in a “tactical” black. The trailer for Noah suggests a more of an historical look at the myth of Noah, his arc and a devastating flood, with only a hint of the supernatural. Such a hint would then cause all involved to therefore be surprised at a possibility of a higher being; that Noah’s faith in a God Creator of the universe would actually be correct, causing characters to not only ‘believe’ but to ‘know’ of a Creator that is orchestrating a mass genocide to effectively ‘reboot’ the human race and therefore, God’s The Creator’s image on earth. It is a shock then, to view the movie and realise that it is as fantastical as The Never-ending Story, Labyrinth and The Dark Crystal. We are given a very straight adaptation of the Biblical story of Noah, with miracles being quite commonplace, magic used daily, and the existence of God The Creator as fact: these characters live and breathe a relationship with God The Creator that is extended throughout the earth that He has provided. The care and nurture of the earth is recognised as being symbiotic to our love and care of each other, and therefore, of God The Creator. With this backdrop, it is extremely simple to recognise then, the devastating affect the dark side of humanity can have not only on each other, but onto the earth itself. Here, the filmic universe is brilliantly set up for us to recognise the characters’ plight and the stakes. It’s just that the fantastical elements push this too far north, due to in a large part, some rock encrusted Angels. The New Testament is set with the 4 Gospels, basically retelling the same story of Jesus but from different points of view and narrative license. Hence, where some writers write in ‘High Christianity’, pretty much presenting rich tales of the supernatural as fact, other authors choose the flavour of ‘Low Christianity’, reducing the more magical tone of the story in favour of a realistic focus. For example, Jesus is depicted as spending 40 days and 40 nights literately in a desert, where the personified form of the Devil appears to tempt Jesus. Another version of the story has Jesus in the desert for an unspecified period of time, fighting his own conscious. Noah is high Christianity, or, High Old Testament, and then some. 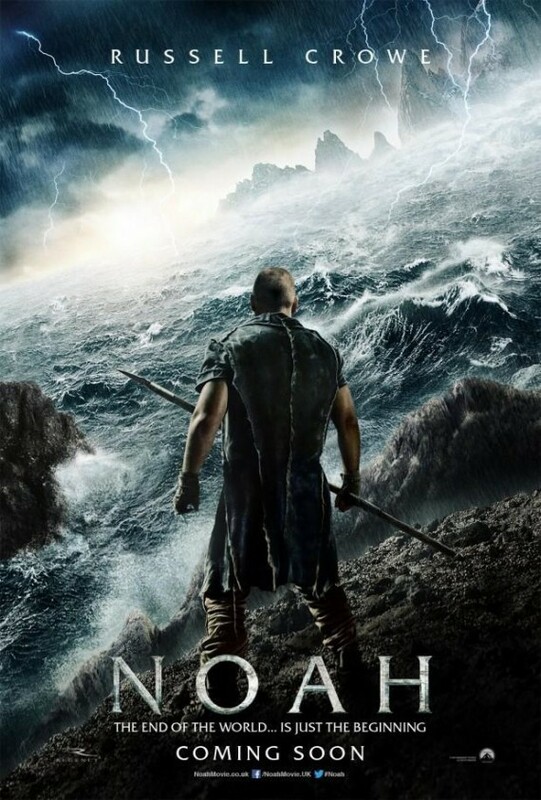 The movie is of course a creative interpretation of the scriptural account that embellishes the moral conflict of Noah as he answers the call of God. Great care and research has been given to tackle some very controversial themes and to be delivered so expertly that one can be shocked by their simplicity; a recounting of the story of Genesis is brilliantly executed, seamlessly delivering the theory of evolutionary creationism. However, the extremely literal vision of the piece may grate, as it may be deemed too simplistic: water running and creating instantaneous forests, animals magically descending onto the arch, glowing magical beans, and……………………………………………………….…………………………………......................................massive rock angels………………………….. Such things would not be amiss in a children’s movie, especially a Catholic movie, however this movie is aimed at an adult audience with horrendous themes and visuals of violence, murder, infanticide and of course, genocide. Whereas the character of Noah is very thin in the texts, Crowe’s Noah takes on the arch of God’s character as represented in the story of the arch; finding humanity evil, plans to eradicate it, and learning to show mercy and grace. Crowe’s Noah does go through this journey, made all the more difficult due to the love he holds for both God The Creator, and his family, to the exclusion of the rest of humanity. A movie with a strong vision that is constant throughout; its either your bag or it is not. Such an instance is a reminder that the trailer’s job not to sell the movie to you; it is to just get you into the movie theatre. An adult fantasy adventure; 4 out of 5 rain-drops. Black Swan is a 2010 psyhological thriller directed by Darren Aronofsky. Black Swan is very similar in style to Aronofsky’s 2008 The Wrestler : the camera moves very closely to its actor’s shoulder, almost in a documentary style of filming. We are invited into their world through their eyes. Both characters make a living through expression through their bodies as opposed to everyday relationships. Whereas one lives for his low art, Natalie’s introverted ballerina chooses to be manipulated in her pursuit of high art. The claustrophobic and insular world of the ballerina is expressed well, inspired by Polanski’s apartment trilogy (most notably Rosemary's Baby): we see Nina as she lives in her tiny apartment with her over-bearing mother, her crowded room filled with naive, virginal objects, shuffling into a tube train and then into the narrow halls (that look like a sewer dwelling) of the ballet school. Only in practice under the oppressive director and (finally) on stage can this bird spread her wings and be free! The symbolism is extremely obvious and blunt: characters are dressed in black and white, with Nina wearing a white feathered boa and there are many references to mirrors and reflections, obviously symbolising Nina’s burgeoning dual personality disorder. Nina’s environment is also literally dolled up – teddy bears and other such toys crowd her room, shoving the infantilised, virginal princess idea down our throats. The metamorphous that Nina experiences is also so literally handled that it verges on the comical. The movie is also unfortunately extremely clichéd, with scenes such as the resentful mother actually telling her daughter “I gave up my career for you!” and the sleazy ballet director imposing on our young heroine. In regards to Natalie Portman’s performance, either she gives a timid, shallow performance, or she gave a magnificent performance of Nina’s timid, shallow White Swan persona. The only scene where Natalie comes alive, or seems at least interesting, is her turn as a rebellious brat that is reminiscent of the lively Lily that only lasts a minute at best. Compared to Nina, Mila Kunis’ Lily is a fun and welcome site. Perhaps that was the point, but a great character arc may have served the character better. Natalie and co. apparently went through months of training to achieve dancer’s bodies and also to give a convincing performance as a ballerina on stage. Due to the very tight action shots however, the experience is a bit too crowded, with an audience missing out on seeing the full extent of the ballerina’s performance, like the ‘finishing move’ in The Karate Kid 2 we are left to fill in the blanks: oh, I see. Her expression is pained, her ankle is twisting, she must be giving it her all. One can of course argue that this is a film solely about the psychological stresses involved in the performance of high art expressed as a horror film as opposed to the dancing itself. It is interesting what real ballerinas thought of the film regardless. In regards to the film’s script, Perfect Blue is a 1997 anime that dealt with issues similar to Black Swan, such as fame, perception of self and subjective reality. Darren Aronofsky owns the rights to Perfect Blue as he recreated a scene from the film in the fantastic, challenging and disturbing Requiem for a Dream. Perfect Blue is an amazing Hitchokian psychological thriller in its own right. It seems that Aronofsky is milking this one great reference instead of just dedicating himself to a fantastic live-action remake. Heck! Even the main character in Perfect Blue is called ‘Mina’. It should also be noted that Black Swan is also an off-cut to The Wrestler. Originally, the film was to mirror the lives of a wrestler and a ballerina in their various art forms, however Arronofsky obviously chose to split the two, now calling Black Swan a companion-piece to The Wrestler. Not as challenging as Arronofsky’s previous efforts, the movie follows this year’s Oscar hopefuls as a flat, straight forward story (True Grit). Black Swan may be a fine movie by itself but in no way is it in the same league as previous Arronofsky films or Perfect Blue. Too blunt, too obvious and too clichéd when compared to its references, Black Swan is an underwhelming experience: 2.5 fingernails out of 5. See what David and Margaret have to say, and check out the trailer!